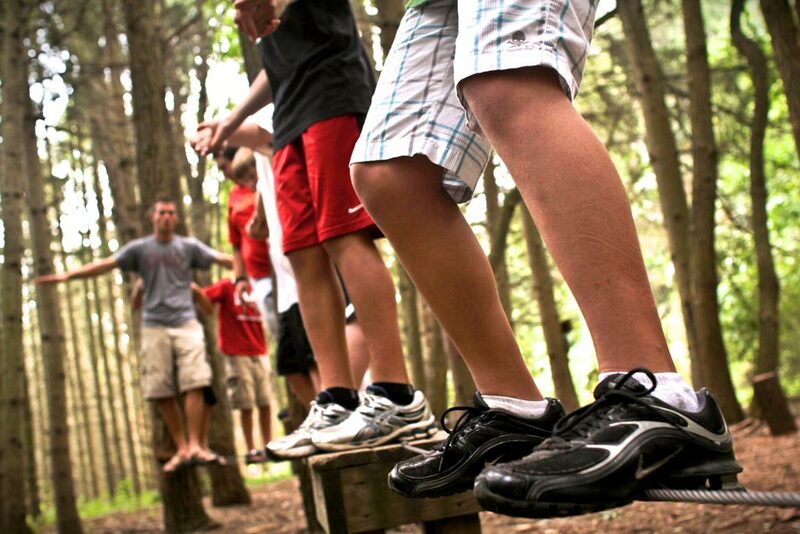 At Miracle Camp we will customize an experience to your group to help you achieve the team building you desire. We can create this experience within the context of a retreat or you can come out for a one day team building experience. For corporations, youth groups, leadership teams, office staff, college groups, etc., the challenge of Miracle Camp’s open air initiatives will create lasting experiences of teamwork and self-discovery. When you’re looking to push the limits, you’re looking for the high adventure side of team building. 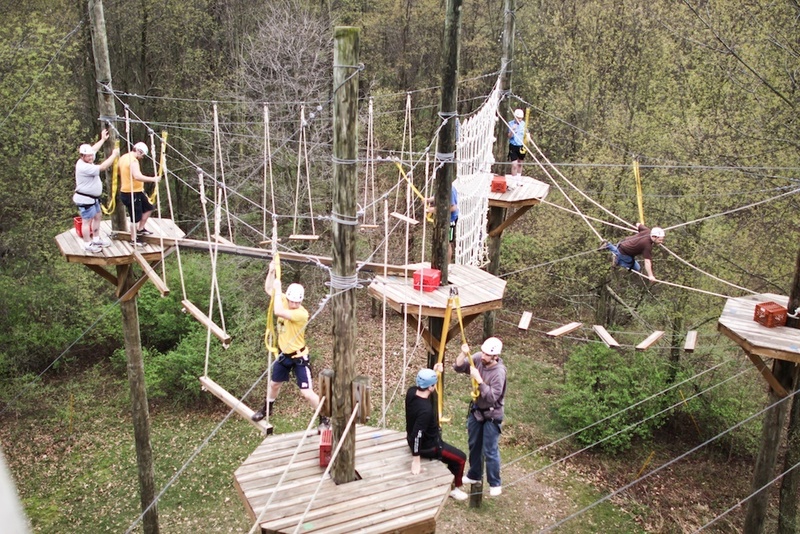 You can do our 4 line 500ft zip line as a group to help people conquer fear together. Or you can meet the challenge of our 40ft climbing tower or wrestle your fear in the 30ft walking height high ropes course. Designed for both solo and partner challenges, you will need to be both brave and cooperative to complete its challenges. If you’re looking for an opportunity to foster unity and cooperation within your team or group, you’ve come to the right place! The Group Initiatives element of the Outdoor Adventure Program at Miracle Camp creates an environment of maximum opportunity for group growth and bonding. Each group works together through a series of low ropes initiatives, challenges, and facilitated discussions to create trust, teamwork, and a collective history. Communication, strengths and weaknesses are analyzed and individuals are challenged to examine their unique role within the group. We think you’ll find the time spent developing your team or group at Miracle Camp to be very beneficial! To make a reservation or for more information, contact Miracle Camp and Retreat Center at: 269.624.6161.